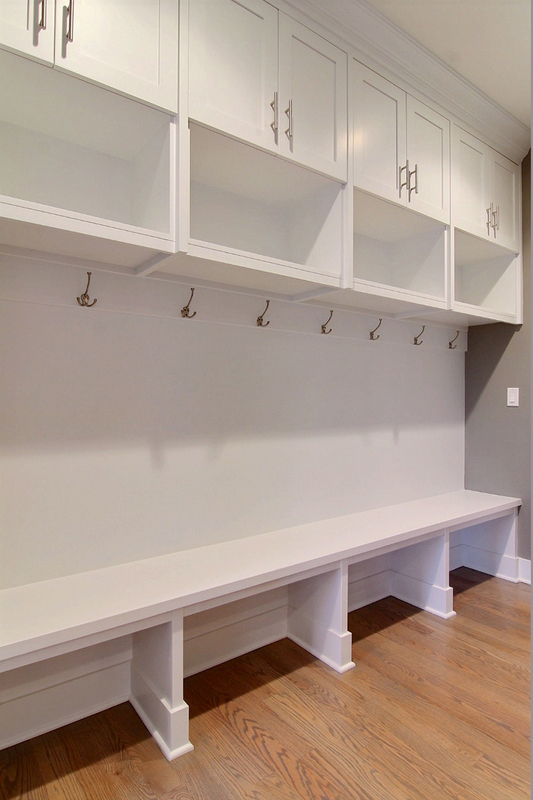 This is a mud room, with cubby storage. Hooks for coats with open storage above for school bags, hats, etc. Top wall cabinets have Shaker style doors with Crown molding trim at ceiling and brushed nickel handles. Bench seat at the bottom. White solid lacquer finish. Great for a family with children.